Today the media is covering a story about vegetable shortages here in the UK due to poor weather in southern Europe. This is a timely reminder to us all that food should not be taken for granted and factors entirely beyond our control can interupt the food supply. 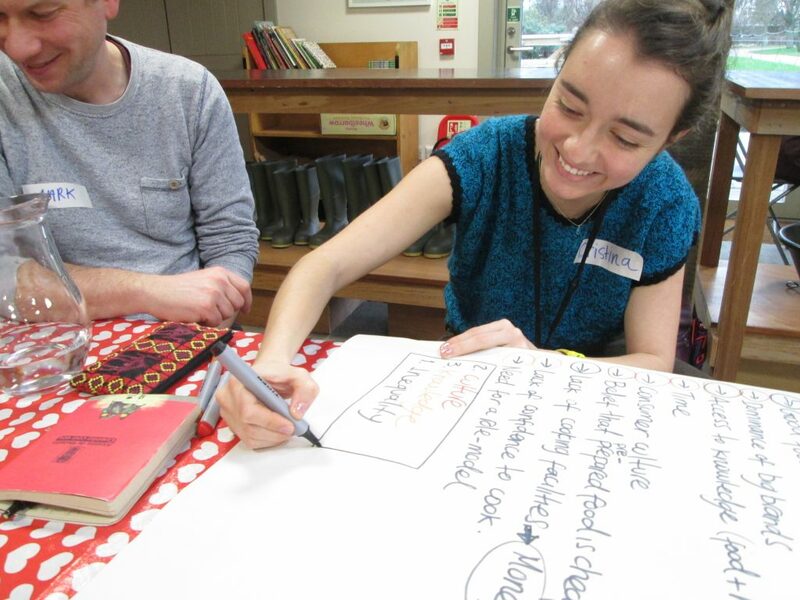 Yesterday (2nd February 2017) saw the first gathering of residents and community representatives from North Edinburgh at the Botanics Cottage here in the Garden to begin the process of co-creating an exhibition about access to nutritious food. 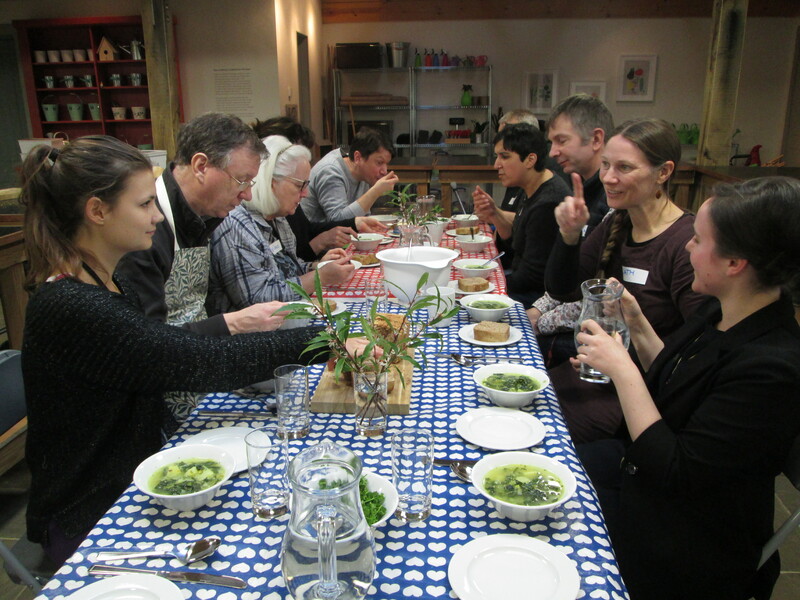 After a hearty soup prepared from seasonal vegetables from the Garden (made by the co-creation participants), and bread baked in the Cottage from locally grown wheat (East Lothian), we set about identifying the barriers to nutritious food experienced by individuals and communities. Sharing lunch after harvesting vegetables and preparing soup. Inequality is fundamental and it presents itself in many forms. Importantly, inequality is not just about money. This is well illustrated by the fact that communities may not have shops selling fruit and vegetables near at hand. It was suggested that the biggest single positive change in a community would be the opening of a ‘discounter’ supermarket. Access to transport, fuel and cooking facilities are all part of the inequality problem. Inequality is deeply rooted and hard to address. The long term solutions are going to be political. Culture is about how we live. Changes in society as a whole are making people less likely to cook from scratch. Shortage of time, a consumer culture that fosters a belief in ‘brands’, and the ideas that pre-prepared food is actually cheaper than fresh is a barrier to nutritious food. Fresh produce wasted because it does not meet the aesthetic criteria is one way in which retailers have influenced our perception of what good food looks like. Efforts to change this by selling ‘wonky veg’ are begining to appear. We need to move away from treating children with sweets. Knowledge is perhaps the easiest barrier to overcome through education programmes. 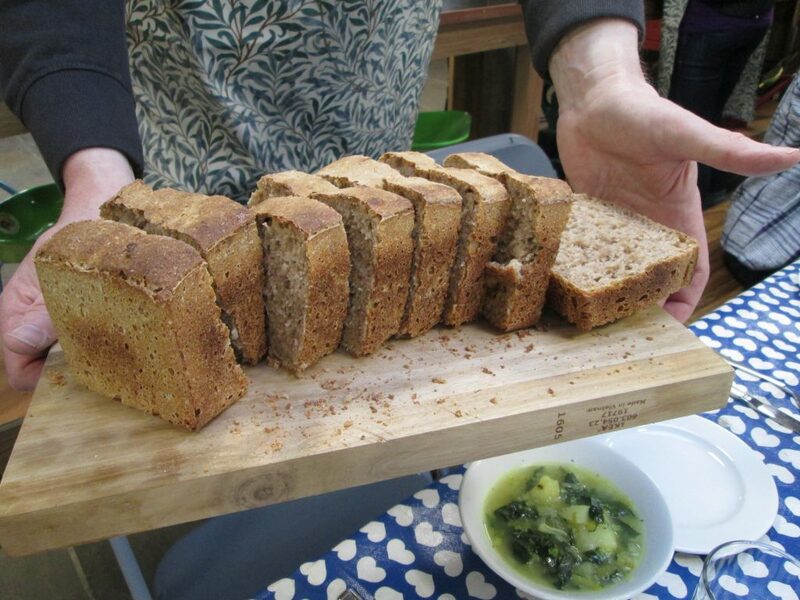 The great breadth of existing food initiatives in North Edinburgh came across during the meeting. These are aiming to pass knowledge and skills to people who lack confidence to cook, possibly because they have had no cookery role-models in their lives. Cooking is a practical activity so learning by doing is the best way to overcome this barrier. The emotional side of cooking and tasting food is what makes it memorable and a positive learning experience. Group discussion around barriers to nutritious food. Looking beyond the barriers to the solutions it was agreed that recording and presenting the many examples of action to address these issues by people in North Edinburgh would be worthwhile. The group will now explore the possible use of video and photography to tell personal stories of overcoming barriers to good nutritious food. For those that could stay on after the meeting there was the pleasure of scones served with butter and jam. 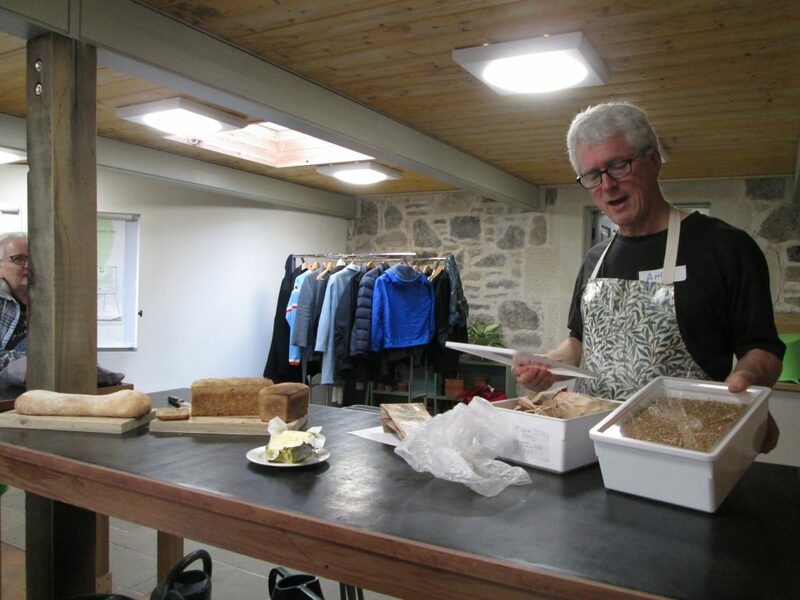 The scones were made using flour milled from a wheat growing trial carried out at the Garden in 2016 with the support of a local bread initiative called Scotland the Bread. Andy showing the wheat grown at the Garden. Bread baked from locally grown wheat.